By 1996, there had already been sufficient progress in medical technology platforms that breast cancer diagnostic imaging, biopsies and patient management no longer required an often daunting in-hospital setting. Public health administrators were thus already proposing to steer new breast cancer patients away from the often complex, “in-hospital” scene to a quick-moving and more efficient Ambulatory (out-of-hospital) Breast Center (ABC) – keeping the patient’s in-hospital sojourn to the strict minimum. 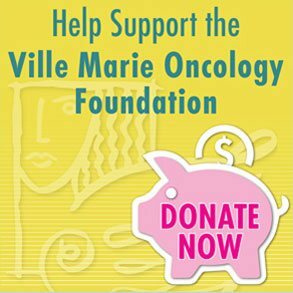 At that same time, three dozen recently treated breast cancer patients were invited by the then newly-launched Ville Marie Oncology Foundation (VMOF) Board to a brainstorming session, along with a dozen invited breast cancer experts to explore how the VMOF could help optimize breast cancer management within the new and encouraging concept of ambulatory care. The goal of this meeting was to help define the Mission of the VMOF which was not mandated, like most hospital-based Foundations, to raise funds to cover specific hospital-based costs, but was seeking to specifically support out-of-hospital, community-based, ambulatory breast cancer care. Nearly all of these committed and visionary patients had had to face the overwhelming anxiety associated with the frequent hospital-based delays in accessing the multi-disciplinary expertise required to complete their management, and to initiate appropriate post treatment support that could have facilitated their road to recovery. There was a consensus that an Ambulatory Breast Center (ABC) would consist of a community-based entity promoting quick access to an on-site multi-disciplinary team of breast cancer experts and their support personnel, equipped with all the pertinent advanced breast cancer-related technology required to accelerate the diagnostic process, thus minimizing the often associated extreme anxiety. 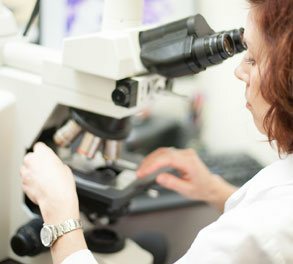 Treatment planning would then be reviewed at the weekly Oncology Pathology Conferences by the entire on-site team, including pathologists, radiologists, nuclear physicians, along with surgical, radiation and medical oncologists. This team would also include genetic and clinical trial experts, psychologists, kinesiologists, residents and students in training, etc., all seeking a consensus on the best treatment plan. The recommendations of these conferences would then be shared with, and explained to, the patients and family/friends who would be provided with ample time for questions. The assigned ABC ambulatory navigators would then initiate and coordinate the chosen management plan which could include, if needed, access to any hospital-based treatments, after which they would oversee the patients’ post-treatment phase, now called Survivorship, to reduce the often-lingering anxiety. It was decided that the Ambulatory Breast Center (ABC) would also be involved with: Breast cancer prevention, early detection, clinical research and educational activities both for patients and healthcare providers. As the large majority of breast cancer cases now emanate from the Third World, they eventually opted to add an International mission to provide pro-bono access to the ABC’s multi-disciplinary expertise and technologies for breast cancer care providers from low-resource countries who have demonstrated a strong commitment to overcome obstacles to basic breast cancer detection or care in their respective countries. Little did this visionary group of breast cancer patients – invited 20 years ago to help define the original VMOF’s mission and goals – realize that during that brainstorming, they had laid the foundation for the new multidisciplinary Ambulatory Breast Center model where the patient remains the priority, and that is now internationally recognized as capable of providing the best standard of care for breast cancer management.